Nicole Baker is a quiet girl - the type of person who is seldom noticed by anyone. That is until one day she discovers she has the unique ability to see images move on photographs. At first, she uses her ability to entertain friends at parties and work. Then senior detective Paul Hammond learns of her ability and enlists her help in a case of unsolved murders that he has not been able to make any headway on. Carl Kadner, a rookie reporter with the local paper is investigating the murders as well. And he learns what it takes to be the kind of reporter he wants to be when he puts himself in danger for the sake of the story. It is only when Carl, Nicole and Detective Hammond pool their resources that things start making sense. 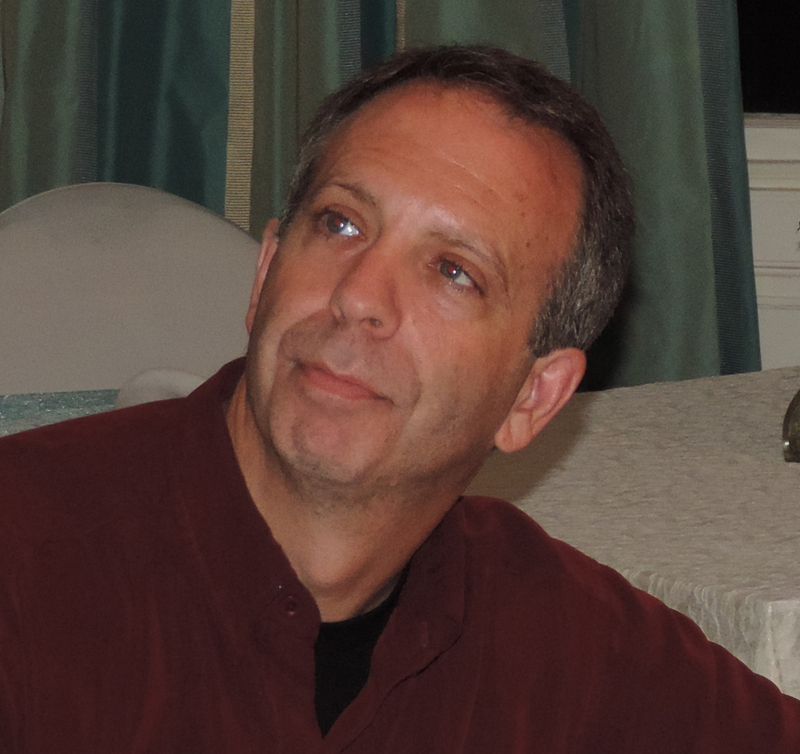 To read reviews please visit Perry Prete's page on iRead Book Tours. The Minds Eye is my first book by Perry Prete. The book was quite good. It did bounce around a bit and in some instances did not give you an explanation of what was going on so I kind of felt lost at times. For instance Paul has a picture of someone in his wallet. This person tries a few times to call and he keeps missing the call, instead of calling the person back like he thinks he should he just keeps waiting. Now this goes on over months, and when he does finally take the call, it just stops with him answering. Then you go back to waiting to find out who and why again. I did enjoy the book even with the mysteries in the mystery. The true story in the book has nothing to do with the phone call. It is a Mystery Thriller. A young woman's dismembered arm is found in a snow back. Another woman is found murdered in her bedroom. Then a few months later a female torso is found in a suitcase by some trash cans. Paul Hammond a detective must figure out, who these women are, who killed them, are they connected, and why were they murdered. Nicole is a office worker, she pick up a picture and in her minds eye she is able to see a psychic movie of the events surrounding the photo. She uses this as a parlor trick until one of the women who was at a party was murdered. Detective Hammond and his team decide to question her after other people who were at the party told them about her gift. Perry Prete is a Canadian crime writer and paramedic. His first novel, All Good Things, introduced us to Ethan Tennant, a City of Ottawa paramedic who looks at crimes from the medical perspective. Perry continues to work full-time as a paramedic and uses his thirty plus years of life changing and sometimes dramatic experiences to bring realism to his gripping medical novels. His other works include, The Things That Matter Most and All Good Things. He is also a business owner, specializing in the pre-hospital care field. His company sells medical equipment across North America, primarily to EMS agencies. A native of Sudbury, Ontario, Perry, graduated from Fanshawe College in London but now lives and works in Brockville, Ontario. Yes, I do, several. I am a full-time paramedic and have been for a very long time. I also own several businesses and employ 14 people. I have a medical supply company, part owner in a spa and my partner and I started a publishing company a few years ago after my original publisher went out of business. What is my writing schedule? I have no writing schedule. My work hours vary from day to day; I can’t dedicate a slot just for writing. Instead, I carry a Surface laptop with me and write whenever time permits. Sometimes I only get a few words in, other days, thousands. I can go days or weeks without writing a single word then put down thousands over a few days. How do I research a book? My first three novels were medically based mysteries with the main character being a paramedic. It was easy to incorporate the medical aspect of the job into the story. I have several friends who are police officers that helped with the legal aspect of the investigation. The books are graphic and describe what paramedics deal with day after day. Many people had no idea what a paramedic does. My other two books were thriller and horror and required nothing more than a vivid imagination. Where do I get inspiration for my stories? Ideas come to me in the most mundane way. I flipped through a stack of photos, and that gave me the idea for The Mind’s Eye. You have to read the book to find out why. My paramedic books came from the variety of calls I’ve had in the past few decades. They make for great inspiration. I watched a really bad movie one night, and I thought to myself, I could write a better story than that. That’s the story I’m working on now. In the past few years, I’ve had stories pop into my head at the most unusual times. I start writing the first few chapters, so I don’t forget about them. I wish I had some really interesting story as to how I come up with ideas, but I don’t. Sorry.